Friday | March 30th. On the Atlantic | Peter M. Schloss | J.D. - Mediator. Among today’s activities there are three that I wish to highlight. 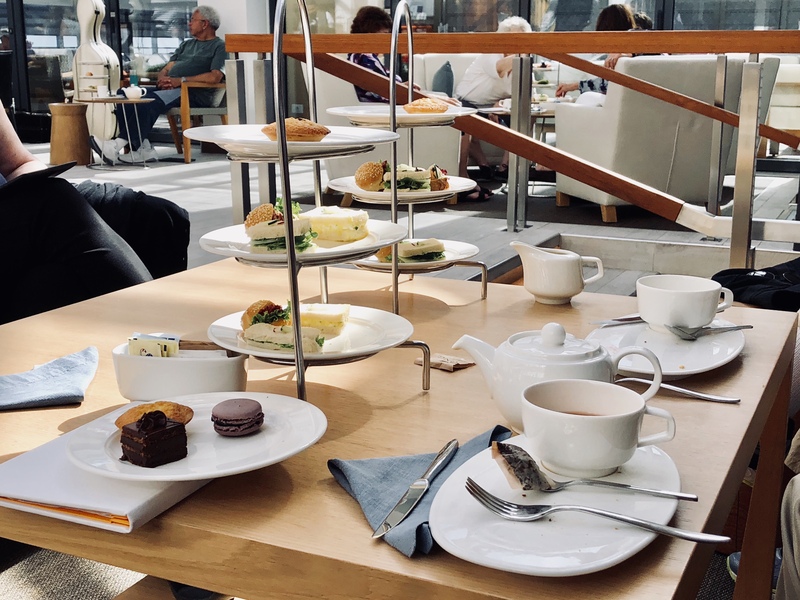 Christine and I enjoyed “high tea” in the English tradition at 4 pm. 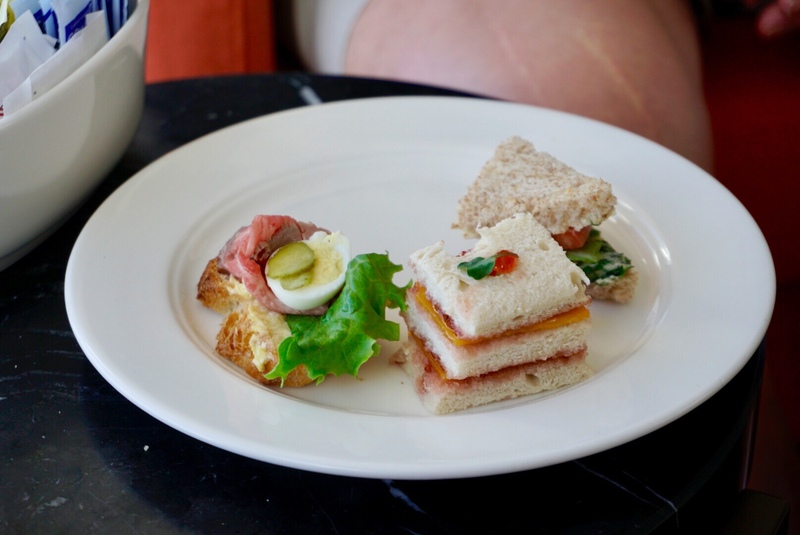 Service included dense scones, delightful pastries, finger sandwiches (what do they do wit the crusts?) and of course choice teas. This is an everyday tradition aboard Viking vessels. 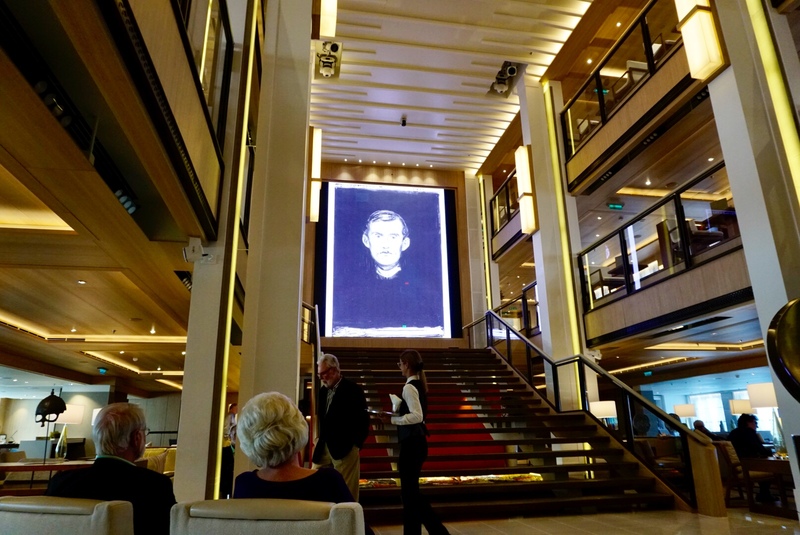 The ships Atrium is a remarkable event space amidships. 3 stories tall and featuring a grand stairway at one end. 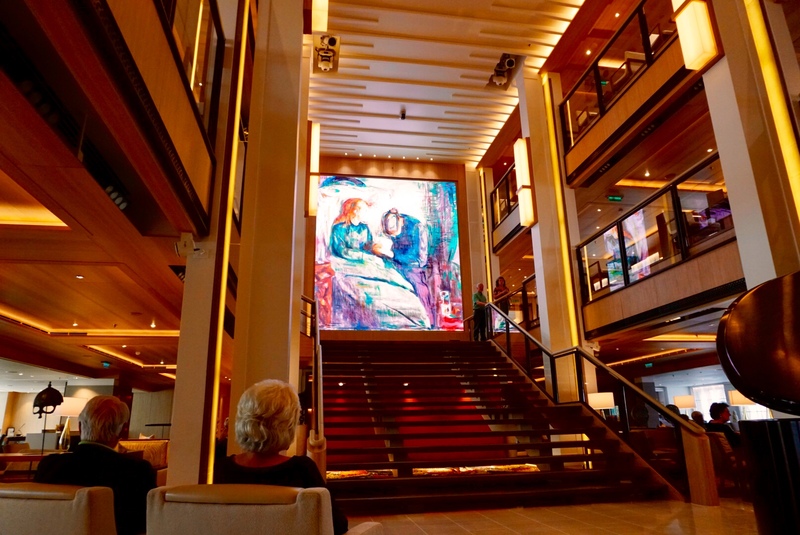 This elegant venue is the social heartbeat of the ship. One has an unobstructed view of both port and starboard. The space contains an impressive art collection and ancient Viking artifacts. 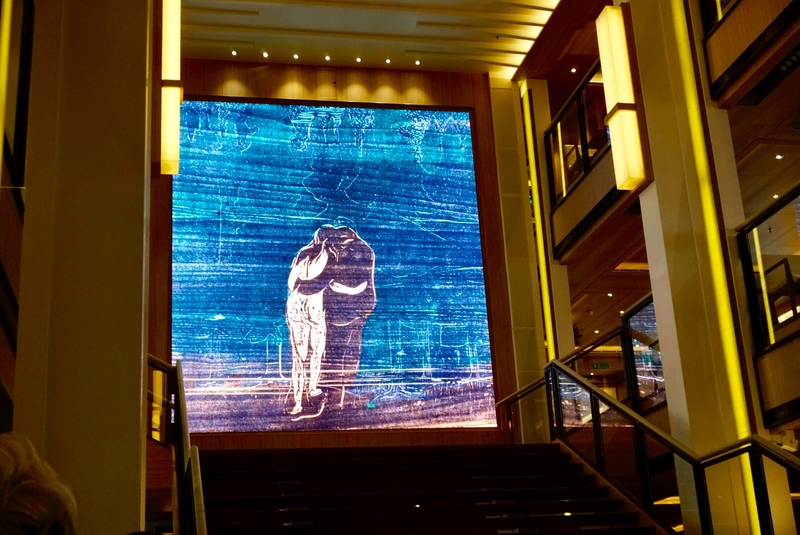 Towering above the staircase is a huge HD screen that rotates images, often of nature, or pieces by a featured artist. This evening that artist was Edvard Munch. We were treated to a display of a few of the most famous of his over 2,000 works concurrently with a classical piano performance. A full color booklet provided the historical background of each painting. I have included some of the images, most notably, “The Scream”. Finally, we had an exceptional dinner at the Italian themed gourmet restaurant, Manfredi’s. Christine had a chilled cucumber soup and incredible Bistecca Florentine (garlic and oil rubbed rib-eye), while I was in heaven with a creamed pumpkin and smoked haddock soup followed by Tagliata Di Anatra (marinated and grilled duck). I’m omitting the numerous accompaniments. All in all, a very “Good Friday”. ← Thursday, March 29th. On the Atlantic. Safe travels. Perhaps we will meet up in Porto? We arrive there on April 24 to then start the Camino Portuguese on April 27. Loving your blog. Keep having fun! We will keep our eyes open for you!! As my dad use to say ” No matter what you do in life, no one can ever take education away from you.” You have learned well and continue to learn. Now you find favor in teaching us as you journey. Thanks Peter and Chris!!! Pete, thanks for the explanation about the Scream. 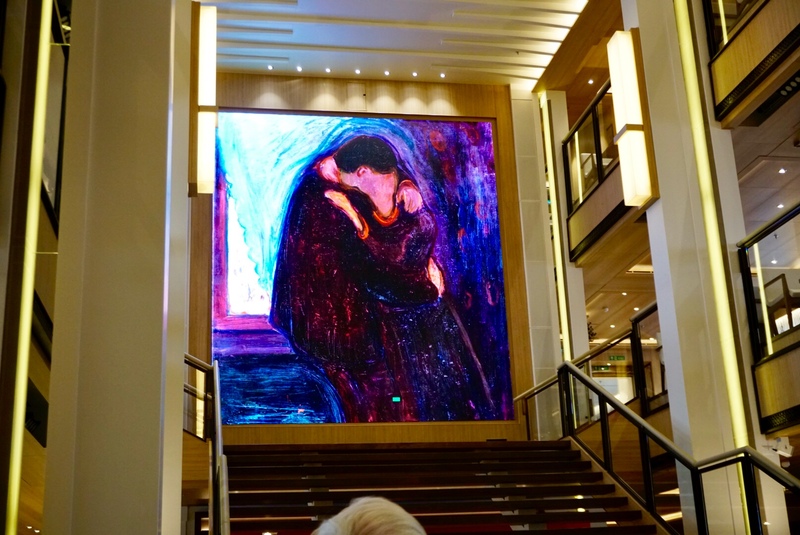 For a moment, I thought it might be an abstract of you on deck realizing that the ship was out of beer. We enjoy the travel descriptions! Plenty of beer… maybe too much beer!!! Thanks Greg. Peter and Christine .. I finally have a moment to savor your posts. (lots to catch up on). 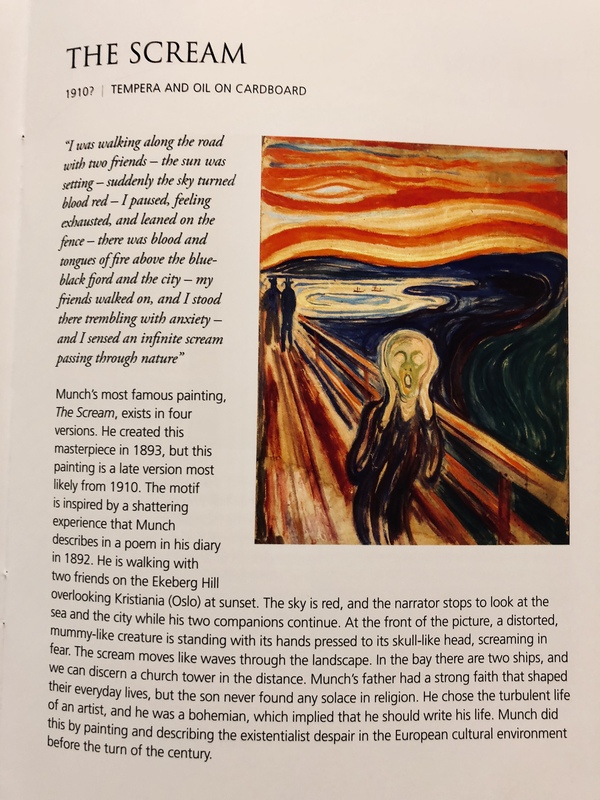 The food sounds delicious, the explanation of The Scream – fantastic… I always wondered about that. 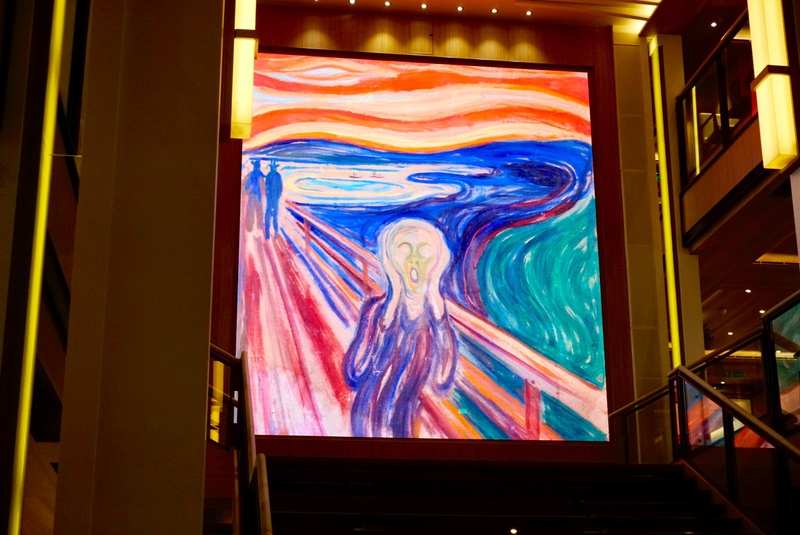 I have a picture from a wall in Knoxville…where some “graffiti artist” had done a wonderful copy of the Scream. However it was loaded with staples from multiple postings, which only added to the texture.